Item # 309471 Stash Points: 5,495 (?) This is the number of points you get in The Zumiez Stash for purchasing this item. Stash points are redeemable for exclusive rewards only available to Zumiez Stash members. To redeem your points check out the rewards catalog on thestash.zumiez.com. 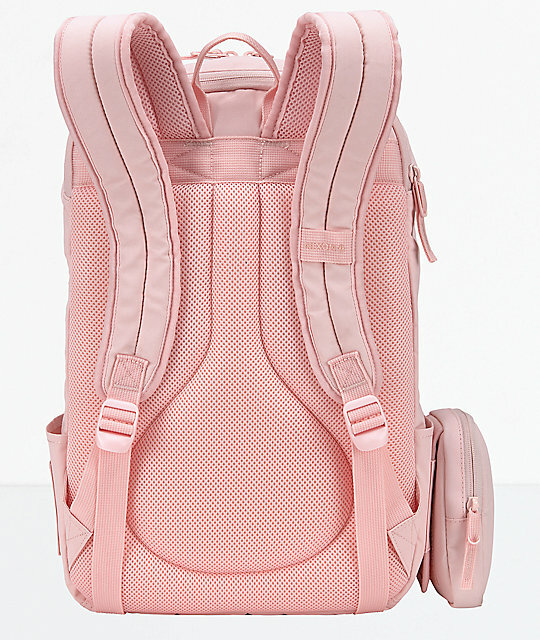 Your new favorite everyday backpack is here. 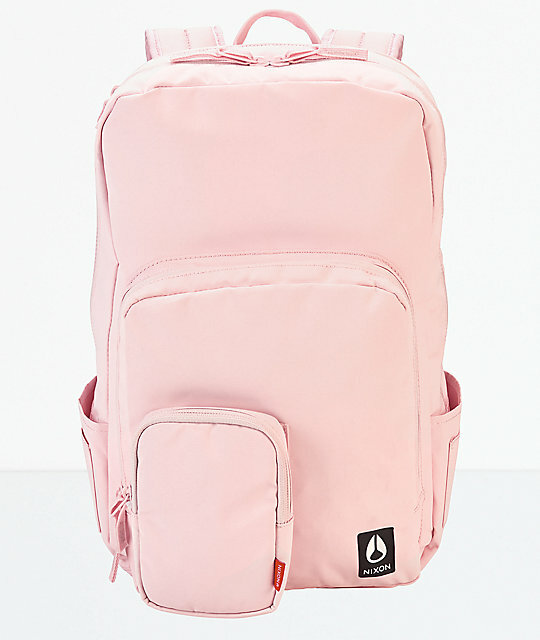 The Daily Pink Petal Backpack from Nixon is the perfect accessory for school or work, thanks to a 20L carrying capacity. Featuring a delicate, light pink colorway and signature Nixon branding throughout, this eye-catching design is packed full of features. With a large, zippered main compartment with built-in organizers, along with padded laptop and tablet sleeves, there's space for all of your daily essentials. Two external zippered compartments and side hydration pockets provide room for all of your smaller items, allowing for safe keeping and easy access. A padded back panel and padded shoulder straps offer up ultra-comfortable wear, no matter what you are hauling. 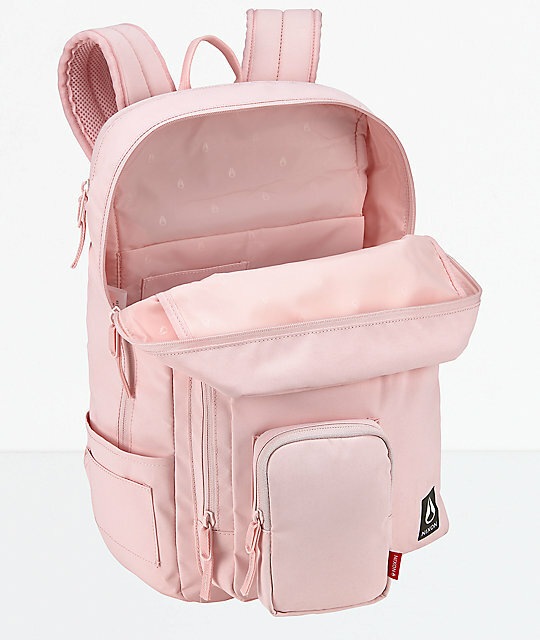 Daily Pink Petal Backpack from Nixon. Monochromatic light pink colorway throughout. Large main compartment with organizers & tablet sleeve. Nixon's modular utility pod system. Spacer mesh padded back panel & shoulder straps. Elastic mesh water-bottle side pockets. Zip storage pocket on top. Lining: Nixon Icon Embossed 210D Nylon. Large 15" padded internal laptop sleeve. 28" x 5.5" x 17.7" &vert; 28cm x 14cm x 45cm .